On Friday, we added a new family member to our home!!! 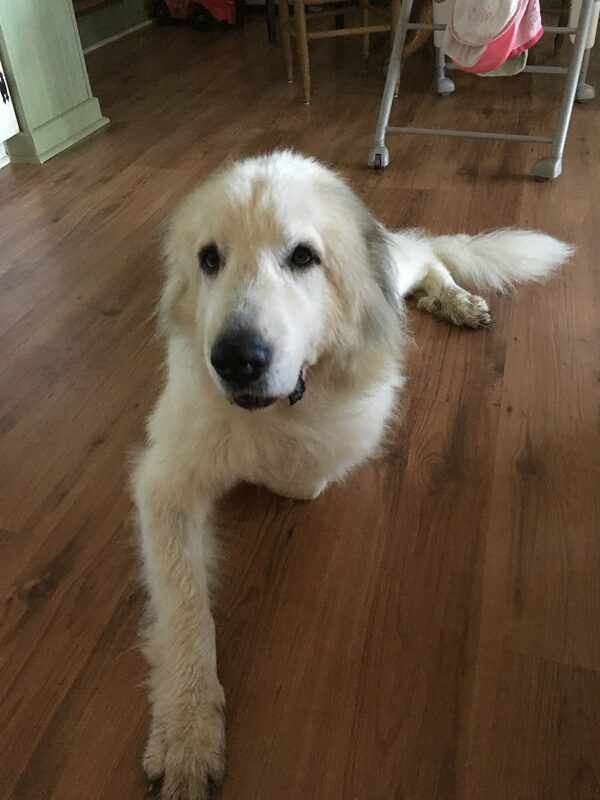 Everyone please meet our beautiful new Great Pyrenees, “Riesling.” She is about 3-4 years old and from a rescue in Georgia, and we’re in love with her already. She was surrendered to a shelter after hours so we know nothing about her first few years of life, but she’s spent the past few months with an amazing foster family (with young kids and other dogs!) and seems to be just incredible. I have no idea how she hasn’t been adopted sooner… she’s so, so sweet, and gosh she’s beautiful (as you’ll see below!). Last fall our beloved Hovawart, Liesl, made it clear that she wasn’t going to be comfortable with toddlers walking around the house and we had to make the hardest decision ever to find a new home for her without toddlers around. It has worked out well but we miss her tons every day. 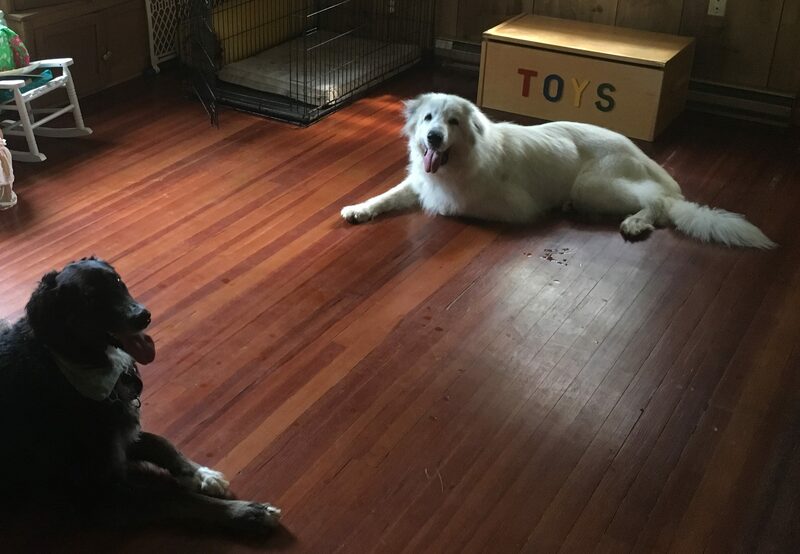 Our wolfhound-mix Kaiser has gone through the grieving process of missing his best friend and we finally decided it was time to introduce a playmate back into his/ our lives. 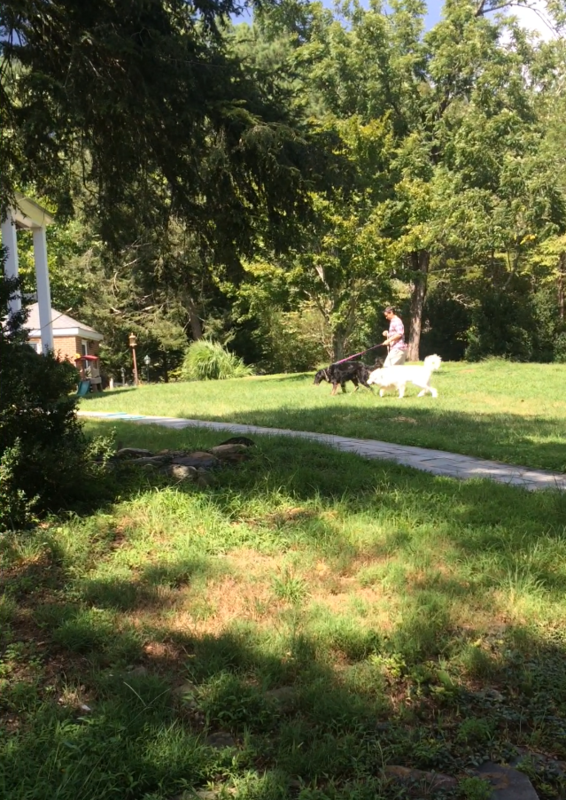 Below is a picture of David and Kaiser introducing Riesling to the front yard and eventually to the house. For the most part, Kaiser and Riesling really get along. We’ve had one skirmish over food so far, which is really really good all things considered. They’ve chased deer in the backyard together and she has barked away a few dangerous squirrels, thank goodness. 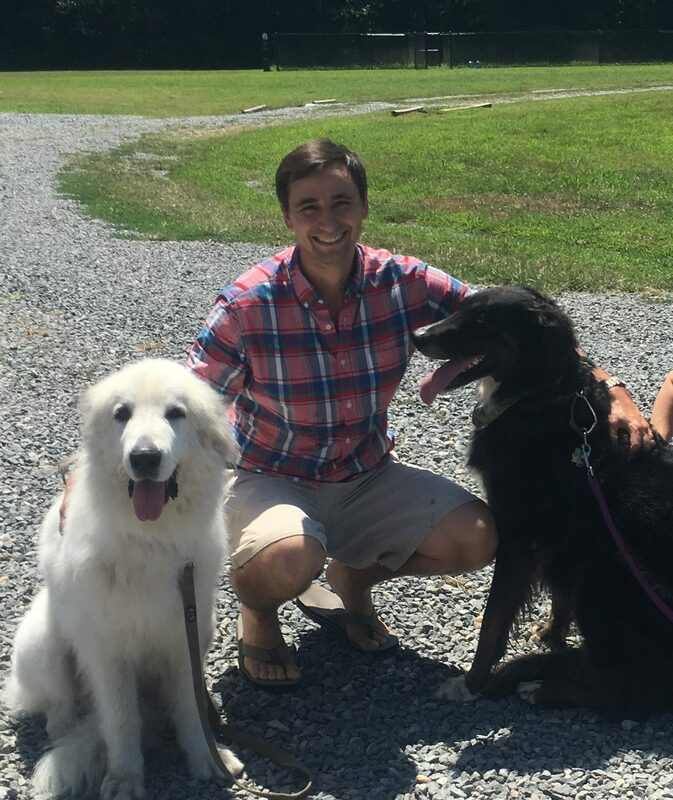 Riesling is particularly gentle around Evie, as Great Pyrenees are apparently known to be around kids, and while at first Evie was a little afraid of “big white dog,” she now knows she can give Riesling gentle pets and walk by her without fear. 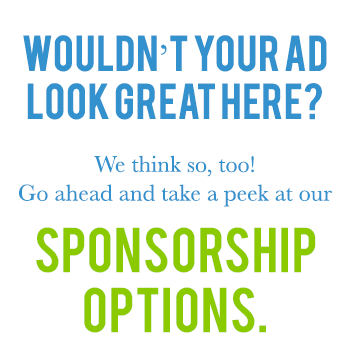 She is a very laid back lady and I think will fit in really well with our lifestyle. She doesn’t jump or lick or copy any of Kaiser’s bad habits, and the only thing we really need to train her on is that dogs don’t go upstairs in our house (long-haired dogs’ shedding + original 1800s pine floors upstairs = dog free zone) but a baby gate at the foot of the stairs will work for now. 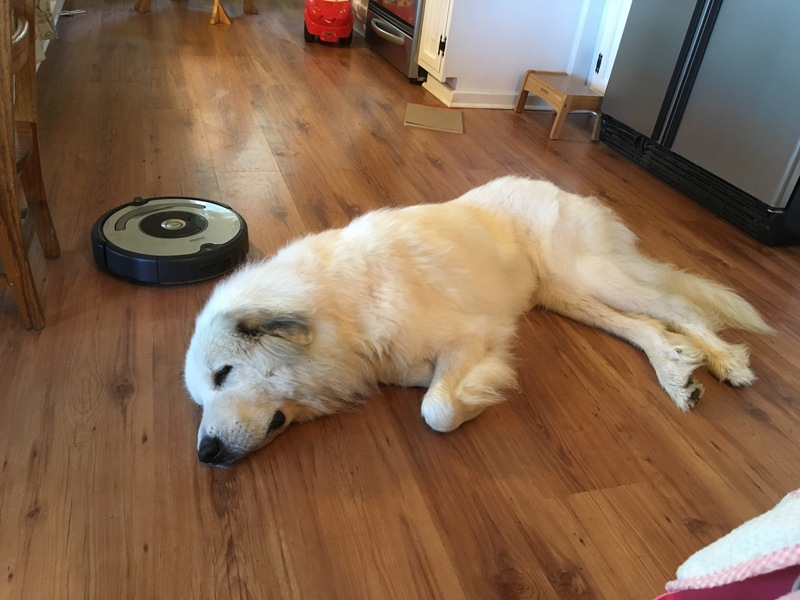 You can see from the picture below that Riesling enjoys her naps, and she didn’t even mind when the Roomba was going in the kitchen right next to her! She’s pretty underweight so we’re feeding her high-caloric puppy food 3-4 times a day with treats mixed in to get her to eat. I have a feeling Evie will contribute to her weight gain sneaking all that under-the-table dinner that she does with Kaiser anyway. What a beautiful dog. Great choice to be around small kids. Good luck and good health to all of you! Thank you! Next time you’re here you’ll have to meet her. 🙂 Love you!